If you are interested in playing the guitar, understanding the theory, learning how to practice, and / or upgrading your playing to a master level, then join me in my Online GRP Guitar Lessons. ​Get 7 FREE Video ​Lessons that will ​help you ​to improve improvising ​skills! ​» CLICK HERE TO GET STARTED NOW! ​Why This ​FREE Course is So Grea​t? ​​This seven days blues course is the best choice for anyone, who wants to learn how to play Blues, who wants to understand how to improvise and what to do to improve his/her guitar-playing skills! ​​If you want to improvise on guitar, this course is perfect to start with; because Blues is the base for any music style! ​​Here you have everything in one place, this course is well-organized and you can work step by step. This is the best way to learn how to start improvising and you do not need to waste your time searching for lessons all over Internet! ​​The lessons take you from the very beginning up until the moment, when your knowledge of the material and your improvisation skills (over blues) are perfect. ​​​This course is the perfect way to improve improvising skills for everyone; from Beginner to Intermediate! ​Here's my presentation of a few different styles that you will learn through my ​MEMBERS lessons! ​Would you like to perform like I do in this presentations above? Get FREE Jazz Blues Lessons now! 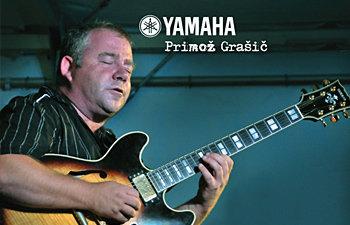 ​The teacher Primoz Grasic is a world renowned jazz guitar player, who has a lot of experience in working with students and whose students graduated at different music schools all over the world. His unique techniques for teaching his students how to improvise are being used by a lot of musical instrument teachers in a range of different instruments. 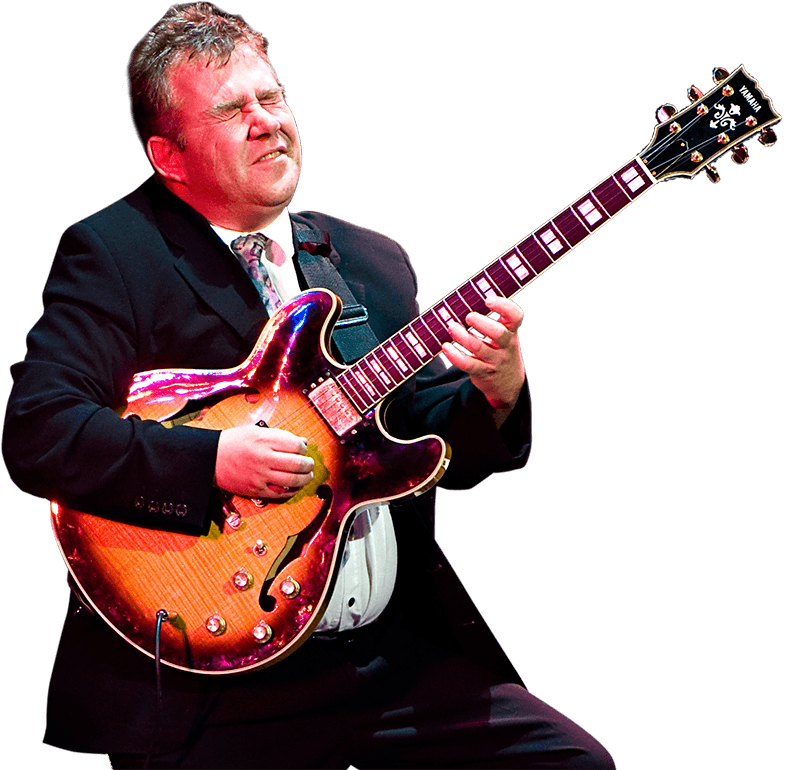 ​He became a very popular guitar player after playing with a lot of big names in world of jazz, after recordings with NHO Pedersen and Martin Drew and guesting as Big Band guitarist. 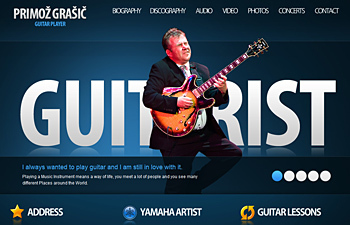 He is a unique guitar player, known for playing a lot of different styles. Enter Your Name and Email Address Below to Get Started with 7 Days Blues Challenge!